Five paw prints. In the 1800s, only white men were allowed to make major decisions, including voting. Esther Morris didn't think this was right. She was a teenager when she opened her first shop, was a single mother when she left her family in New York to move to the mid-west, and she had no problem "encouraging" the men in the Wyoming Territory to allow her and other women the right to vote. Based on real facts, Esther Morris not only became a leader in her community who helped women get the right to vote, but she later became the first woman in the country to hold public office when she became a judge. I really enjoyed this book. The struggle for women to get the right to vote went on for many decades, and in some parts of the world this struggle continues. It's important for students to learn and understand how important it is to vote. Susan B. Anthony and Elizabeth Cady Stanton get much of the credit for women getting the right to vote, but maybe Esther Morris should be studied alongside these other important women. To find more books by the author visit, http://lindaarmswhite.com/default.aspx. My favorite part of this book was when the main character became a judge for her towm court. I did not like this book because I thought it was kind of boring. My favorite part of this book because she could do everything. My favorite part of this book was when she stood up and said that sha thinks woman should be able to vote. My favorite part of the book was when Esther gave the men tea. My favorite part of this book was when people tried to attack the church and she made them go away because she was tall and strong. my favorite part of this book was when the tall girl beat the bear. i didn't like this book because it wasn't to clear on how she did that. it just said " i can do that" a bunch of times nd wasn't to explanatory. i only liked the pictures in it. they were bright and clolrful. My favorite part of this book was when women finally got to vote and the men running said they would make it a law women could vote. I liked this book because the girl in the book was the lady who got women to vote. I liked the book because it hadto do with our history. I didot like the book because it didn't grab my attention,but i learned a valuable lesson. I liked the book because anything she wanted to do she tryed to do it, and she accomiblished it, i think anything you set your mide to you can do it. I didn't like this book beacause it didn't have any action. I thought the book was very amusing and i think the book was very amazing! I was and not intersted in this book. I loved loved the story behide this book, but also it lost me a couple of times,but all and all good book. I liked this book because it showed that you can still be a woman and achieve alot more than any man. My favorite part of this book was when Esther got women the right tio vote in Wyoming. I did not like this book because there wasnt alot of action and the story wasnt exciting. It was okay though. I though this book was intresting and motovating. My favorite Part was when Esther Morris got women to vote at the end of the story. My favorite part of this book was when Ether got married and had kids. Then she opened up a hat shop. My favorite part about of this book was when Esther Morris when she first made a cup of tea. I liked this book bicause had some cool back grond. My favorite part of this story I Can Do that is when Esther Morris stands up fo what see bealeves in whitch is for women to have the right to vote for President and other electeable offices. Esther Morris was an awmazeing women. My favite part is when she made tea. My favorite part of this book was when she got everyone that women could vote because it was very interesting. My favorite part of this book was when Esther was only a little girl but she still wanted to help and learned to make tea at only 6 years old, I think it was. My favorite part of the story is when the girl said every girl can vote. becuse women shood have the same civil rights. when she FINALLY got to vote. I liked this book because it told you how a women stood up said that girls should have a vote for president. I did not like this book because because there wasn't enough excitment in it. i liked this book because it is a big part of american history and if this didnt happen women would not be able to vote to this daY. 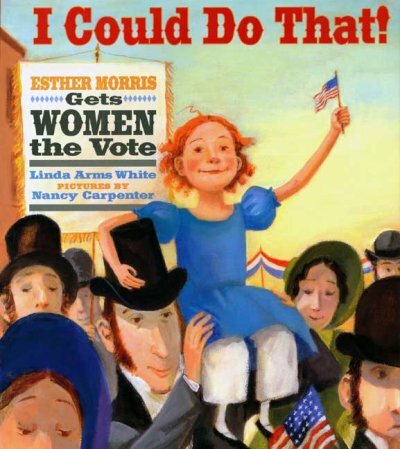 I like this book because it has a good plot and is a fine book for the young to read because it is historical because a girl by a the name of Esther Morris is helping to get women able to vote. I think this book was kind of boring in the middle but in the beging and end it was a good book and the plot was very good. I did not like this book because it was nonfiction biography. I think the book was a little booring. I like this book because i think it is very educational about how women weren't able to vote and how someone made it possible for womens rights. This book was amazing and I thought that when she got womens right! I liked this book because the girl was always positive and acomplished everything she encountered. I loved the book it was an amazing story!!! Esther Morris was my favorite characters she was tall she was polite and she was confindent and very determended!! !Ilove this book!!!! I liked the book. Ester Morris got women to vote.Which is awesome!!! WITH OUT HER I WOULD not be able to vote!!! This book was amazing and it was cool. 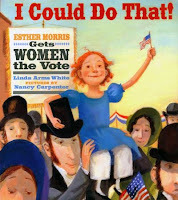 I liked this book because Esther Morris wanted to chang voting so women can vote as well as men. I like this book because it is very informational. This book also has great illustrations. I didin't like this book. it has to much info i like stuff with cool things in it. I loved this book because Esther Morris was confident and she believed in herself. I don't think I could do what Esther did for women in the United States of America. I liked this book. I liked it, because it was about a girl who had a dream. Her dream was that someday women would be aloud to vote. She convinced the the state congressto let women to vote, but only in Wyoming. Esther Morris is so brave! I can't belive she made all the women in her state. I liked this book very much. This book was so intersting. This is a book of history. She had a tea party and she porsated them to let women vote. 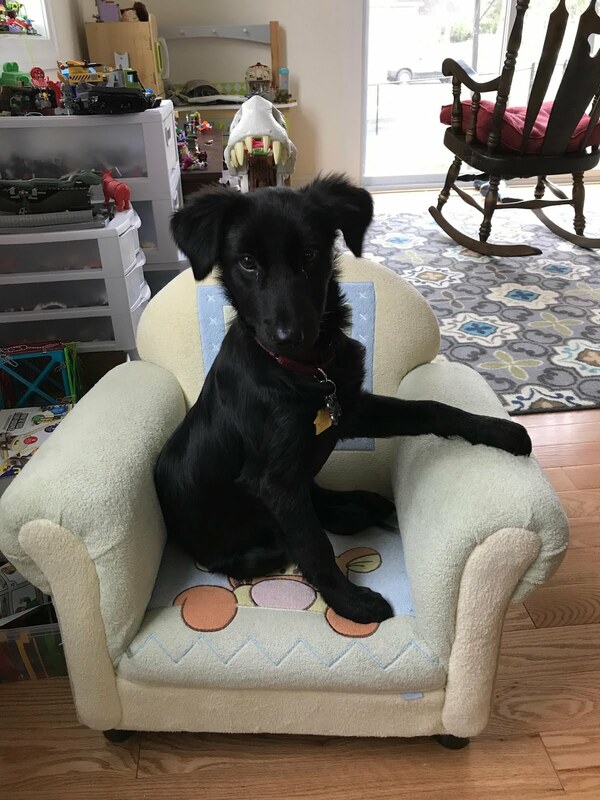 Your Orenda Elementary School library teacher (Mrs. Manore) and her library mascot (BookMoBailey) want to share good books with you! Take a look at what they are reading and often adding to the shelves of YOUR school library. If you would like to be notified about any changes to Orenda Reads, visit http://shenkidsread.blogspot.com/feeds/posts/default. Have you read any of these books? Do you want to tell Miss Dewey and Mrs. Manore what you think? It may take a day or two for your comment to appear, so check back often!